Every roofing contractor wants – no needs to get more customers, right? Yours is probably one of them. If you said “yes”, these marketing tips are for you. First, if prospective customers don’t know, like and trust you, getting customers is harder and your business could quickly fall into trouble. When an artist puts out their first CD, they rarely sell enough copies to be able to eat. If you’ve ever known someone who dreamed of being a musician, you know that this is true. But when someone like Beyonce puts out a new CD, the stores that carry it often can’t keep it in stock. What’s the difference? For one she’s beautiful, but I doubt that is the reason. More likely, it’s that people know her work. They like what she’s done before. And they trust that the next CD will be equally good if not better. The same holds true with you in your desire to get more roofing customers. We’ve known for years that it’s easier to sell a customer again than it is to gain a customer for the first time. Relationships rule. In trying to get customers initially, however, you must find a way to get people to know you, like you and trust you enough to give you their money. That’s one reason why referrals are so valuable. The good feelings your current customers have gets transferred to your prospective client. I’m talking about positioning. It really doesn’t matter what your business does or what you sell. If people perceive that you’re good at it, and believe that you’re an expert, you’ll find it easier to make that first sale. So if you woke up this AM, ready to go and need to find some new customers to grow your business but aren’t real sure where to start you face a lot of options. It also leaves you susceptible to making a costly mistake, which I’ll get to in a second. One of the oldest ways to get customers is to advertise, right? And when you say “yes” to advertising, you have an endless number of ways to do so. But very few of them are any good without a solid web presence in place to support your efforts. Let’s take radio ads for an example. Radio is the ultimate long shot of finding customers because you have to hope that someone who needs what you want is listening at the time your ad runs. Radio advertising sales people know this and that’s why they want to sell you a gazillion insertions. When you run a radio ad, you have a very short time to communicate your offering. Often a third of that time is used to communicate your phone number or website address. 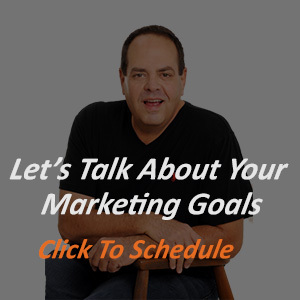 Marketing tips for radio advertisers: If you are using this form of advertising, you must, I repeat must start by measuring the lifetime value of your typical customer and decide what a reasonable customer acquisition cost is for your business. Otherwise, you may make a horrifically expensive mistake by spending a ton of money on radio ads and getting few if any customers from it. What if instead of using a medium like radio – you used the Internet instead? In my view, it’s much easier to measure, test and make money from online advertising than any other medium right now. In fact, I want you to demonstrate something to you right now. 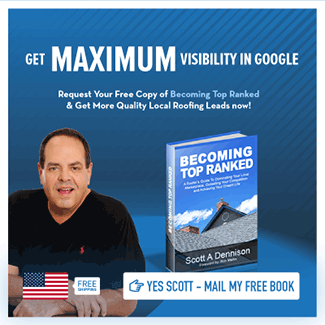 I regularly offer a current rankings report for free to people who are considering more online marketing and are looking at Top Ranked Roofer as a potential partner in their efforts. If you want to have success online you must start by knowing where you are now. That means finding out how many people are actually looking for what you sell, right now. So click here and request a copy of which keywords you rank for and where in Google’s index they have you ranked. We know that around 80% of roofing sales today will start with an online search. 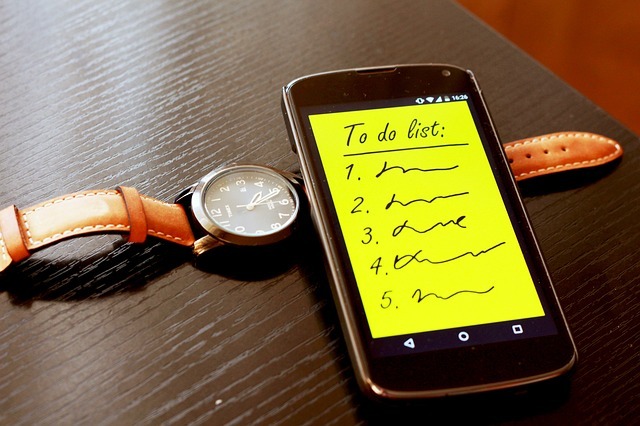 Your potential customer is going online before they buy to do their homework (research). Want a great chance to get new roof replacement customers? Offer them a website that is filled with great information that helps them solve their problem. The content on your site can really help people to feel like they know you and like you. When they meet you for the first time, the way you conduct yourself will determine the trust part. Consider the opposite, however. Many of the businesses that want to rank in Google have sites that are poorly optimized. There is often very little content that helps people choose the company. As a result, most of these businesses are skipped over when prospects begin looking closely at who they’ll hire. Businesses with sites like this are being asked to match the lower prices offered by their often inferior competition. 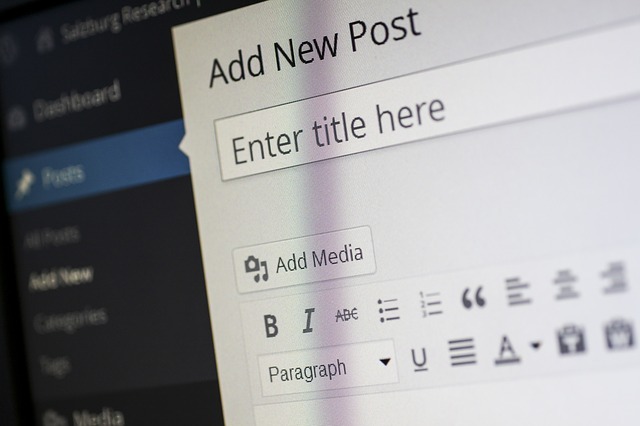 Do you have a great site but need to get visibility? Google’s AdWords can help; add in some search engine marketing and you can elevate your website above your competition, provided you know what actually works to accomplish it. As a roofer looking for ways to get customers, know that we cover marketing tips and ideas every week on this blog so keep coming back to visit. If you find the info useful, share it with your social networks too! If you’ve got questions and need help – ask! Phone consultations are available at no cost or obligation.